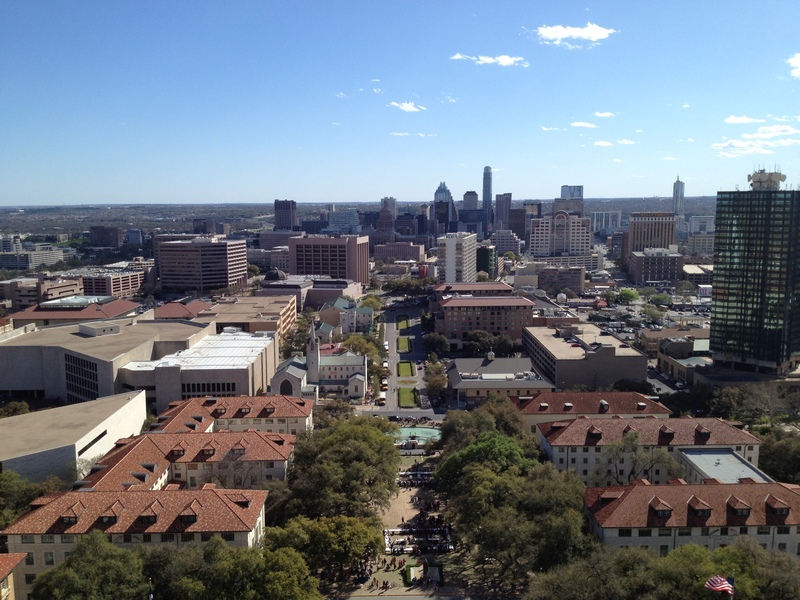 Today was Explore UT. 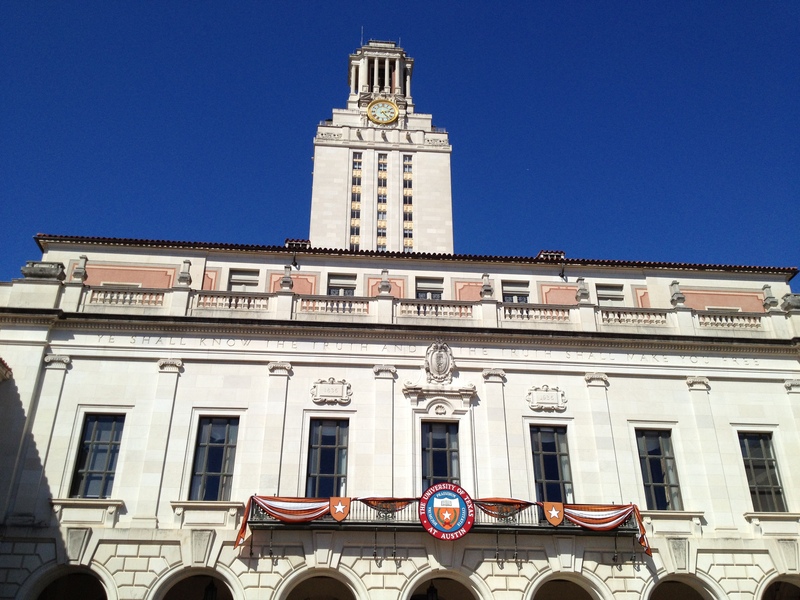 People from all over the state come check out all the great things about The University of Texas. 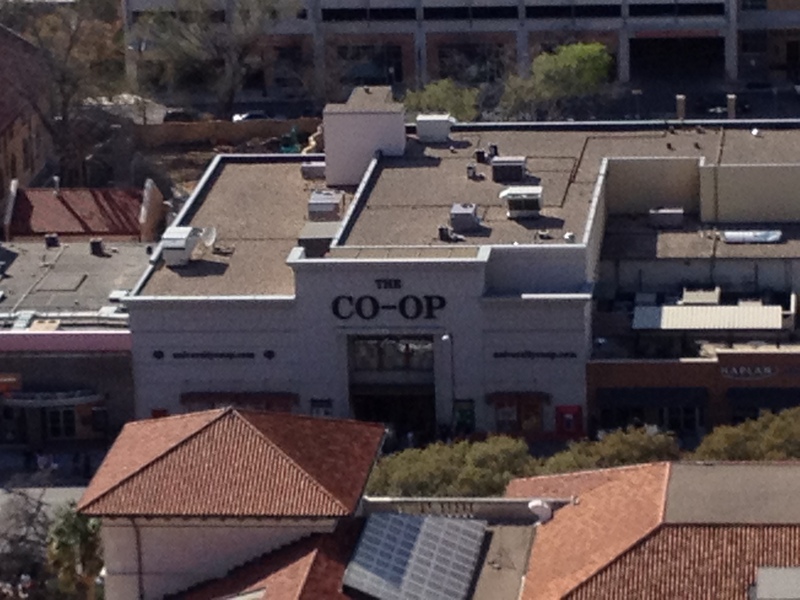 Every year since i’ve been in Austin, I’ve had to miss it. This year, I finally got to go! We spent the entire day roaming from building to building, activity to activity. We started out at the Ransom Museum and saw the first book published, the Bible, and the first photograph ever taken. That got us off to a great start. We then went to see a rose shattered, ball shattered like glass, bananas turned in to hammers and lots of other cool experiments at the Chemical Engineering area. The kids enjoyed water balloons catapulted on them and a group of UT students as they caught themselves on fire. We went to Gregory Gym where the boys were “traumatized for life” when they walked into the sauna where there were some naked men. 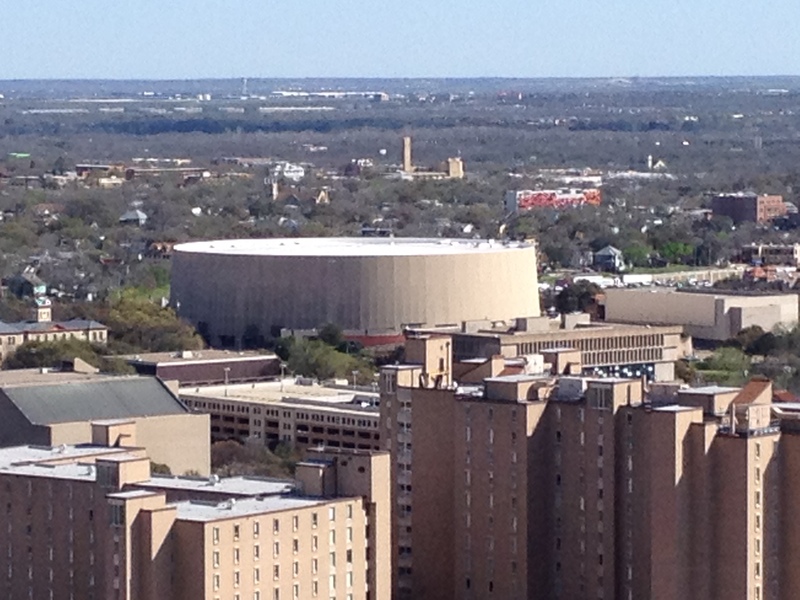 From there, we went and had Amy’s ice cream at the Law School and then to the top of the tower. 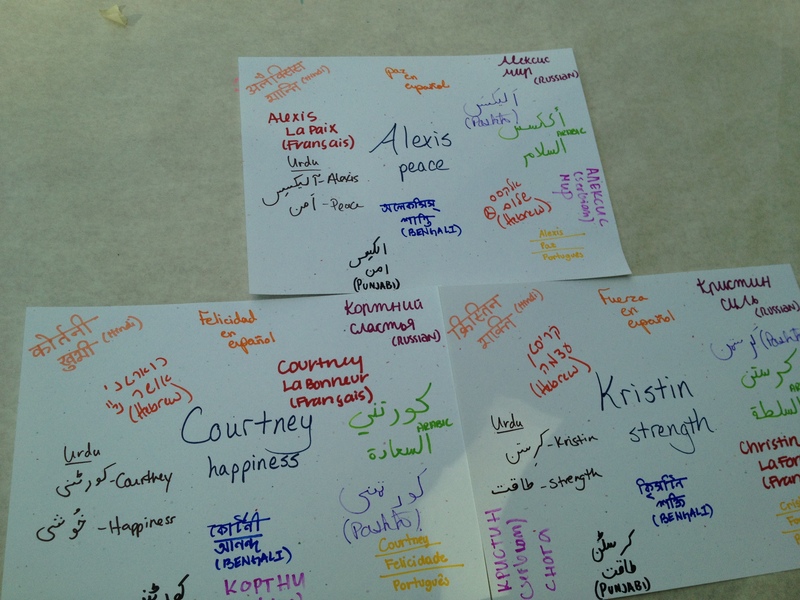 As we walked to the Blanton Museum, we stopped to get our names written in a bunch of different languages. Overall it was a very fun day. The organizer of the group did a great job! Hook ‘Em Horns UT fans!! 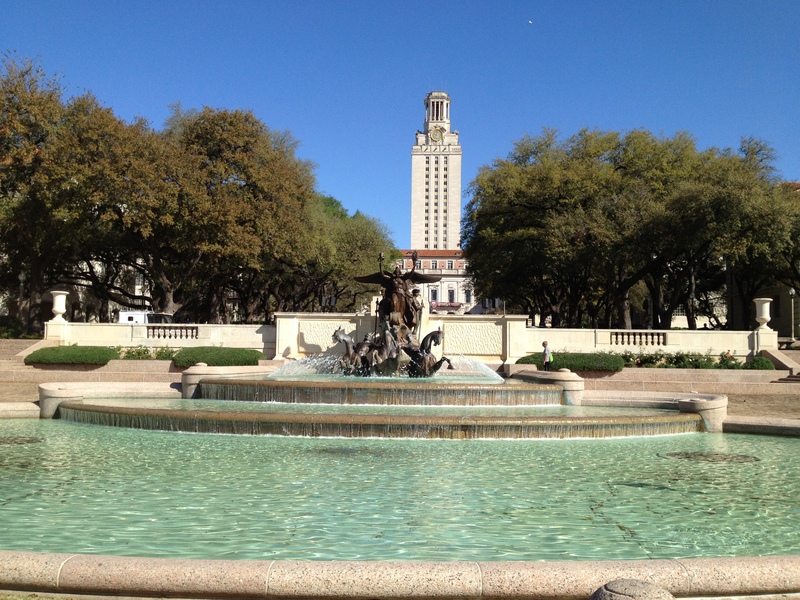 Any time you are on UT campus, you can’t help but enjoy the view of the tower from this fountain! 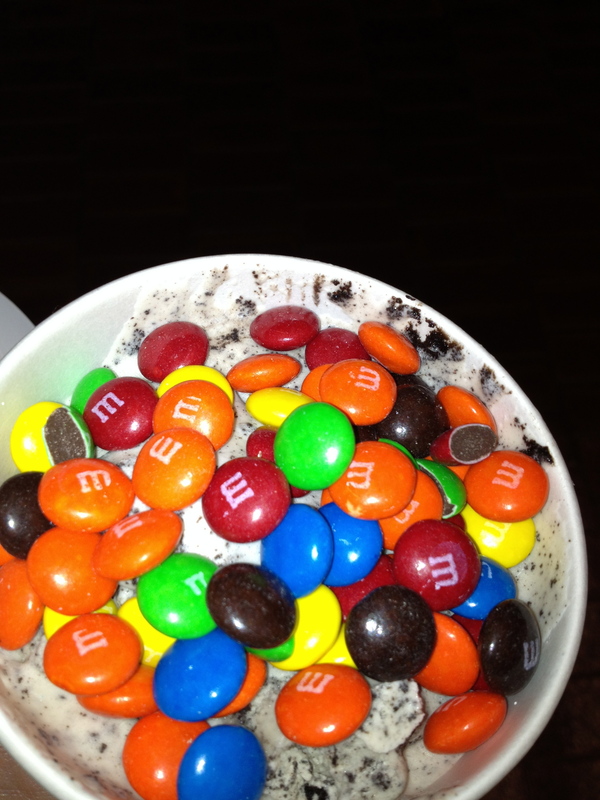 Amy’s Oreo Ice Cream with m&m’s. 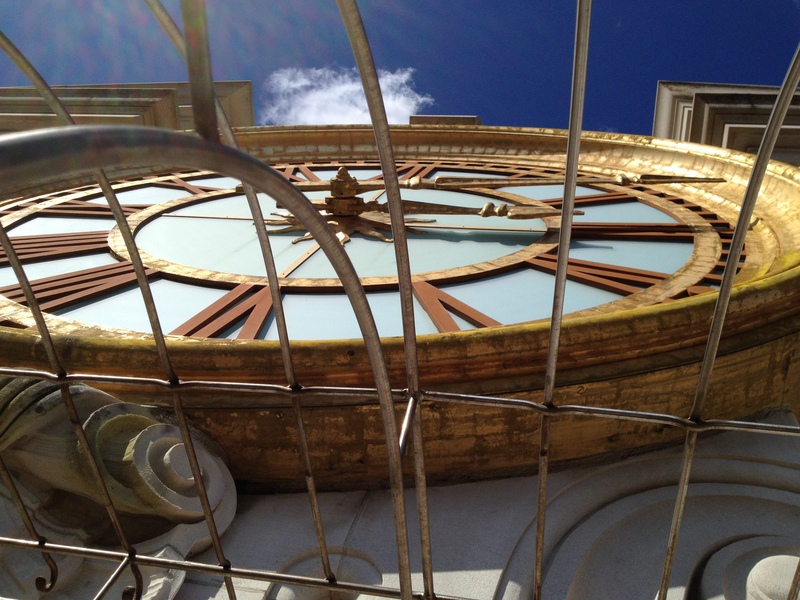 Close up of the tower! 75 years old! The fountain where Johnny proposed!!! Can’t believe it was under construction when we were there last. It was. The kids loved it! 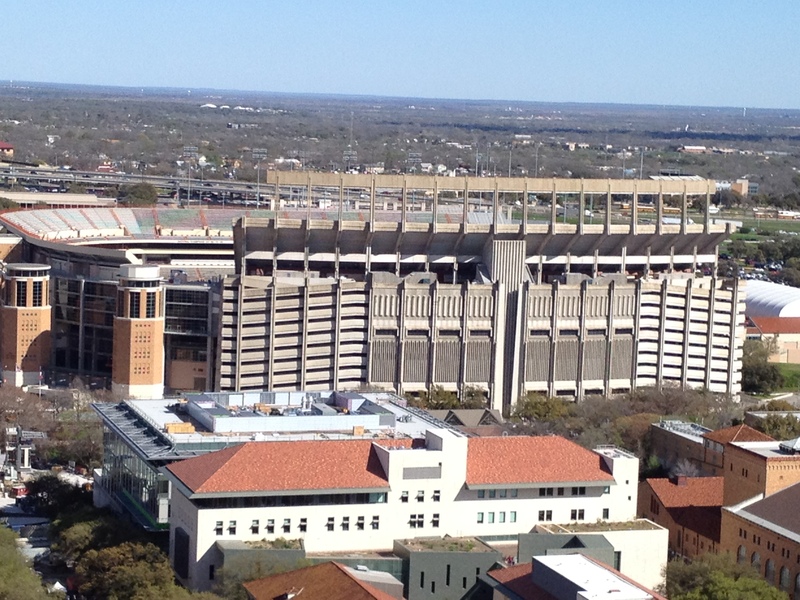 Hook ‘Em!